Did you know, that Gold Canyon has it's own official visitors center? Business District and Visitors Center. 2 New Friends, One from Berlin and one from Munich, GERMANY. 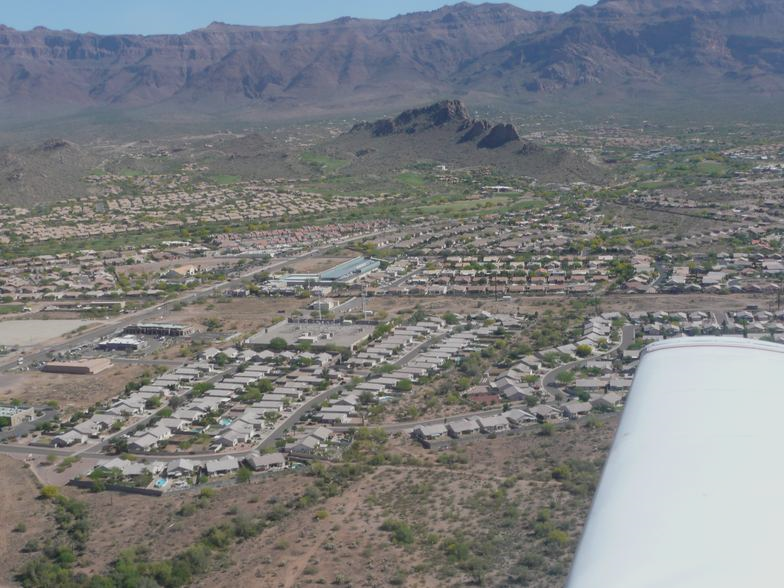 They flew into Phoenix yesterday for meetings and wanted to get close to 'our big mountain', Gave them directions to the Petroglyphs Trail and to Goldfield Ghost town and Superstition Museum and Lost Dutchman State Park. How do you say Have Fun in German? A BIG SMILE! This Saturday, we were privileged to receive visitors from South Africa, looking for directions to the Goldfield Ghost Town and Superstitions Museum. Report back, they arrived OK and come to find out he is a 'world famous' amethyst miner. Wish he'd left me a 'stone'.